PM223MISC | High Plains Museum. 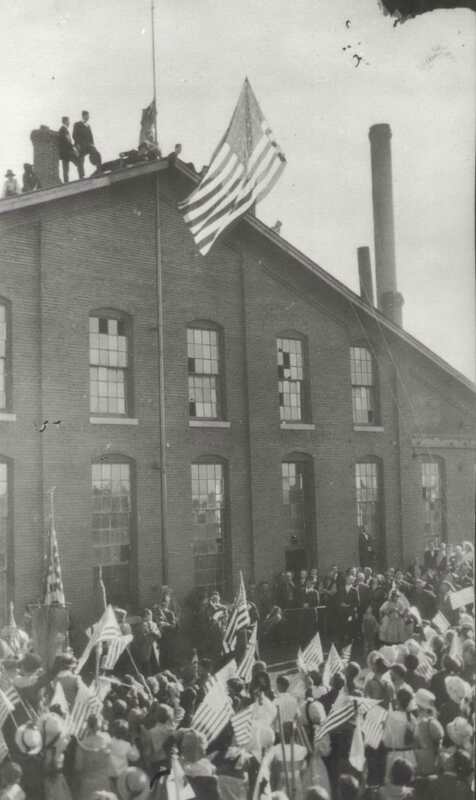 Patriotic workers of the Rock Island Rail Road erect a flag above the work yard. Have a safe and happy celebration of America. The High Plains Museum will be closed in observance of the holiday. For local festivities head over to the Sherman County Fairgrounds for the 4th of July Freedom Festival. Events taking place include: 6:00 pm MT Goodland Kiwanis Club Concession Stand, Watermelon Feed by Goodland Rotary Club, Home-Owned Carnival Rides ($10.00 Wristband), 7:00 pm MT Live Entertainment by Chasynn Canaan Band, and at 8:30 pm MT Gates Open to the Grandstands for the 9:30 pm MT Fireworks Show. ©Copyright by City of Goodland & High Plains Museum , All right reserved.